Wouldn't it be nice if they could keep that 1850s vintage building and use it as the mosque/community center, rather than tearing it down and starting over. Like the Buddhists do here in Bellingham. A Buddhist group resides in the old Scottish Rite Temple on State Street in Bellingham. The historic building gets a new use. The Buddhists adapt to the old building and the building is preserved. I'm not against a mosque in that location, but it might be nice to recycle that old building. Then what do I know, I've never seen a picture of that building. I know they can't keep everything, but that's one idea. From what I've heard, they have a lot more planned than could fit in that old building. A basketball court, 13 stories and so forth. Maybe they couldn't adapt the old building. I don't feel real strongly about it. I know we can't hold onto everything. There will always be new construction. One thing about the Buddhist group in Bellingham, it's "small scale." Religious groups that don't have major funding sources behind them usually adapt to already existing buildings. That can make the groups more small scale, accessible and adaptable. I don't think there is a mosque in Bellingham, but there are groups that practice Islam and meet in other buildings. Pullman Islamic Center. Image taken 1989. See text below. 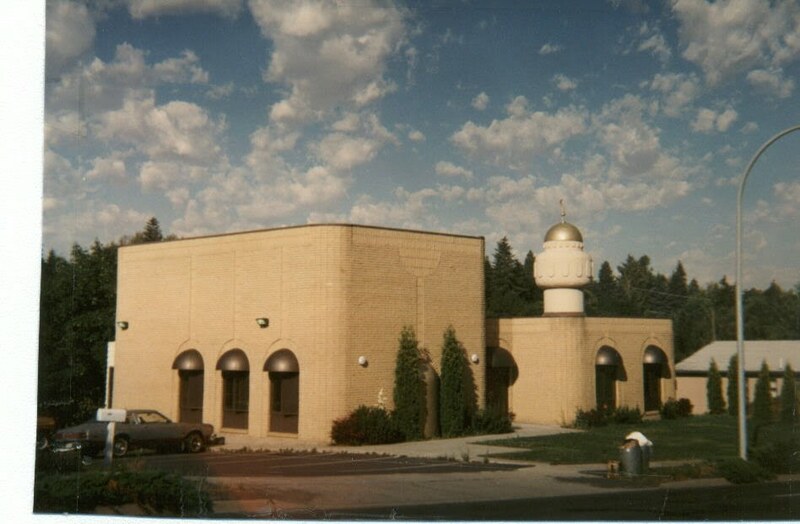 Pullman, where grew up as a child does have an Islamic Center. It was built in the late 1970s or early 1980s, after I left Pullman. Serves a lot of WSU students. The only thing bulldozed for that building was a hillside, as I remember.